Note: I have not yet seen any official list of PRC accredited review centers for CRESAR’s or REBSAT’s. 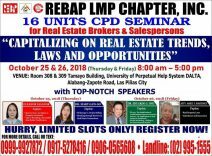 As far as I know, the PRBRES has not yet released any guidelines for the said seminars, except for the following information shared to me by Nestor Correa of SET-C. Nestor posted this on the Foreclosure Investing Philippines Facebook page. Let me quote Nestor below. Anyway, while waiting for an official announcement with regards to PRC list of accredited CRESAR Service Providers and/or guidelines, Real Estate Seminar and Review has come up with some tips that would help one easily identify which CRESAR providers are legitimate. Check it out. PALLP (Alabang-based) thru Ms. Lita Patdu started Dec. 4. Our next day was Dec. 8….that’s all for this year. Jan. 8, 2011 – our next schedule, and onwards to complete the 120 units. Fee is just P15,000!!! Thanks ma’am Lita and to all reviewers!!! Let us all pray we pass the licensure exam, with Almighty God’s help! Inupdate po nila ako, 120-hours na po yung offer nila Kindly update accordingly Thanks also! 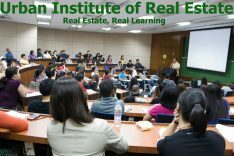 CESAR E. SANTOS REAL ESTATE ACADEMY, INC. is organizing a Comprehensive Real Estate Seminar on January 7,8,9,14,15 & 16,February 18,19,20,25,26 & 27, 2011 (120hrs), 8am-7pm in preparation for the real estate brokers licensure exam scheduled on March 27,2011. Tentative venue is at Unit 2114 Cityland 10 Condominium Tower 1, H.V. dela Costa St., Makati City (opposite of RCBC Plaza). Seminar fee is P18,000.00 inclusive of materials and certificate of attendance. For more details, pls. contact 941-7929 / 0917-4996544 or send us a message at cesacademy@cesson.com.ph attention to Ms. Grace/Ms. Yannie. Pls. 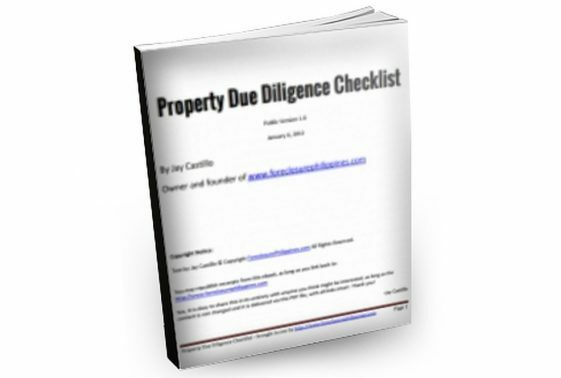 furnish us the copy of the deposit slip thru email or fax at 941-7929. RESA-compliant REBSAT is now offered by Score Exponent Training Center. 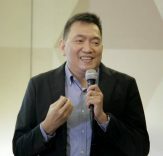 Head Lecturer is Realtor/CPA Roberto A. Capili, Board Topnotcher and Record Holder for garnering the highest rating of 99% during the 1987 Broker Licensure Exams. Venue is the plush Makati Palace Hotel, P. Burgos St., Makati City. Seminar starts on Jan. 22 till Feb. 27,2011. 1. Qualified Individuals(with Bachelor’s Degree) who would like to take the exams to become PRC Licensed Real Estate Broker. *Inclusive of Lunch,Snacks,Hand-outs,I.D.,Sealed & Notarized Certificate of Attendance. This is in addition to the Makati AM section and Quezon City section. By the way, the start of the Quezon City Section has been reset to January 6, 2011 (this was originally set for January 4, 2011). The Makati PM Section which will also be at AIM Conference Center, Legaspi Village from January 8 to February 28, 2011, (Saturdays, Sundays and Mondays), from 3:30 to 6:30 pm, then from 7:30pm to 9:30 pm. 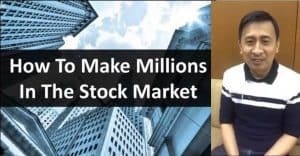 If you or anyone you know would like to have their CRESAR’s or REBSAT’s posted in Foreclosure Investing Philippines, just leave a comment below. Thanks!